When you set up your social media, you have to put some thought into how much energy you devote to trollish behaviour. You may decide that you're not actually that interested in comments, and not allow them. Now, you may say: on Facebook and Twitter, there's no option to turn off comments. If you want to post publicly, then you have to allow for comments. This is something you must plan for when you start your account. The thing is, while it's true that the troll is not interested in a genuine debate, it doesn't mean his trolling is entirely pointless. Instead of viewing trolls as bothersome, I tend to view them as opportunities to contribute facts to the discussion. There are always other lurkers, and they read what I have to say. Now, the troll may feel the satisfaction of getting a response out of you. 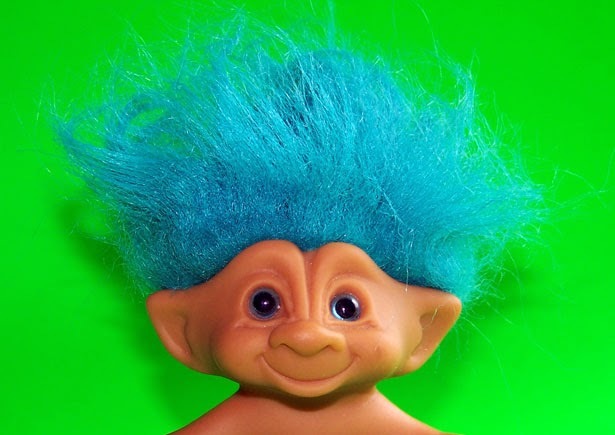 I ask you: who cares what the troll feels? If his comments are opportunities for presenting arguments, he can feel anyway he wants as far as I'm concerned. His comments reward me. It's more material for readers to consider. And he can keep doing it for all I care, it's great. I've engaged someone on the fetal rights debate. It's awesome. Now another tactic that needs to be borne in mind is that if you outlast the troll, you win. The troll is trying to anger you. You need to learn to talk about abortion without getting angry and enjoy presenting pro-life arguments. If you enjoy the debate, you will never get sick of it, and you will want to go fifteen rounds with the guy. He will see he is not angering you. He will see his attempts to get under your skin are futile. You then last longer than he does. But what if the troll doesn't present any facts or arguments and says something really nasty about you or pro-lifers? Take the higher ground. Point out that his statements reflect poorly on his cause.